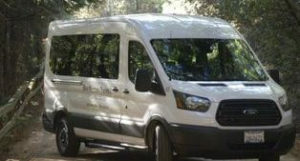 Blue Mountain Transit offers wedding shuttles for any wedding size. Whether you need service for the wedding party, family members, or the entire guest list. We work hard to understand your needs, and put together a shuttle itinerary that will fit your schedule. If you need to make changes during the process, not a problem. No hidden costs. We don’t charge per person or mileage. The hourly rate per vehicle is what you can expect to pay. If you’re ready to book your wedding shuttle or have addition questions email our Operations Coordinator at tishr@bluemountaintransit.com or give us a call at (209) 223-5300.